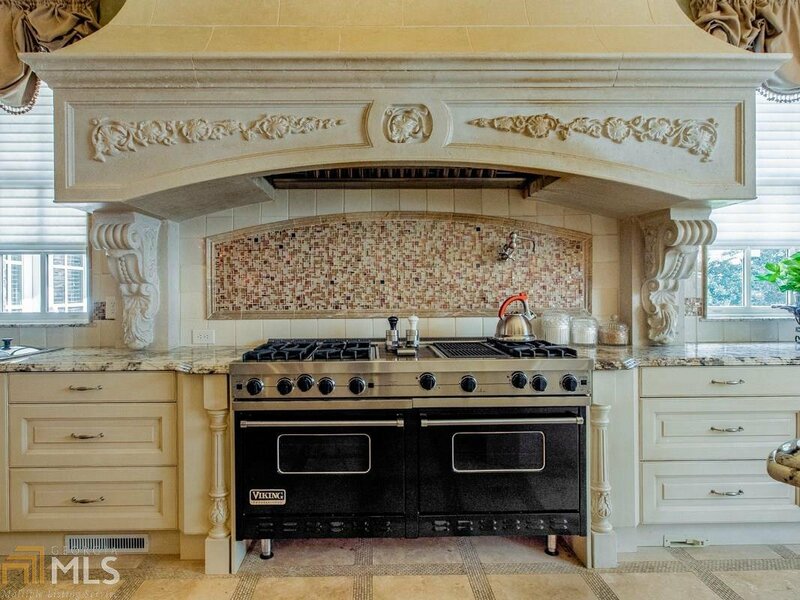 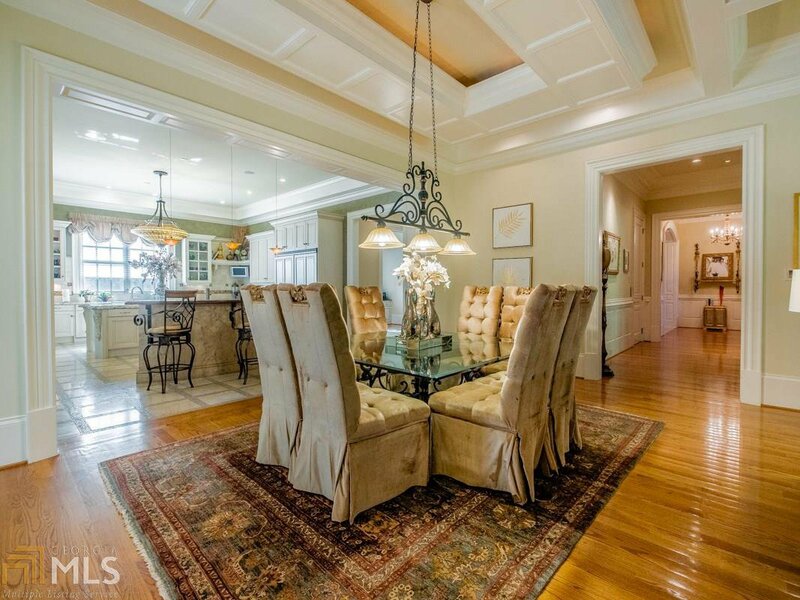 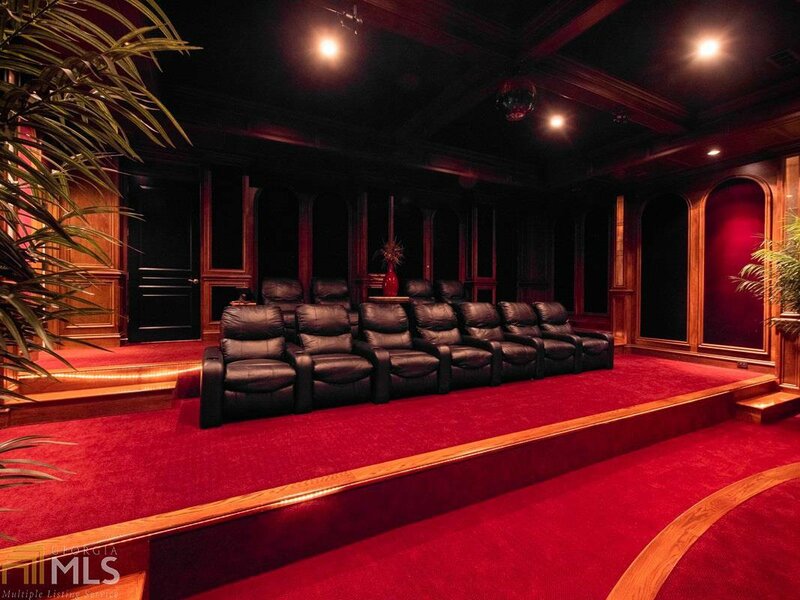 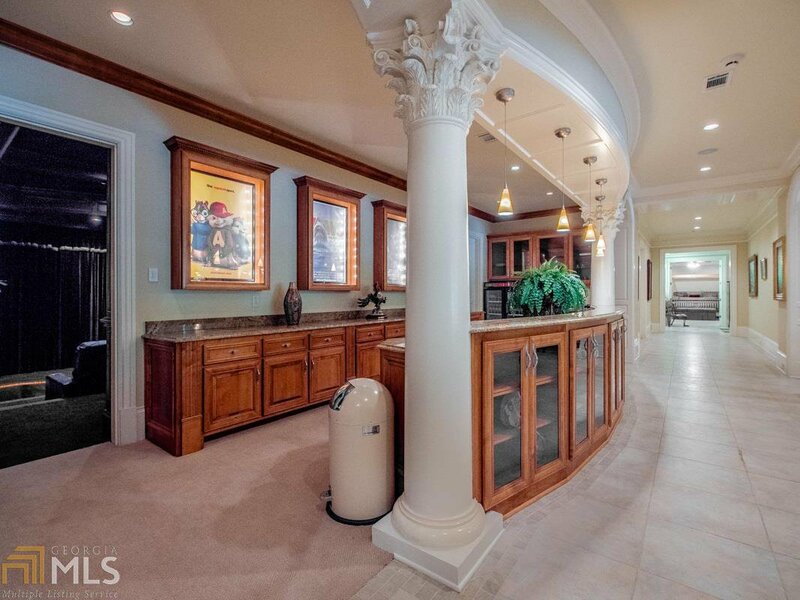 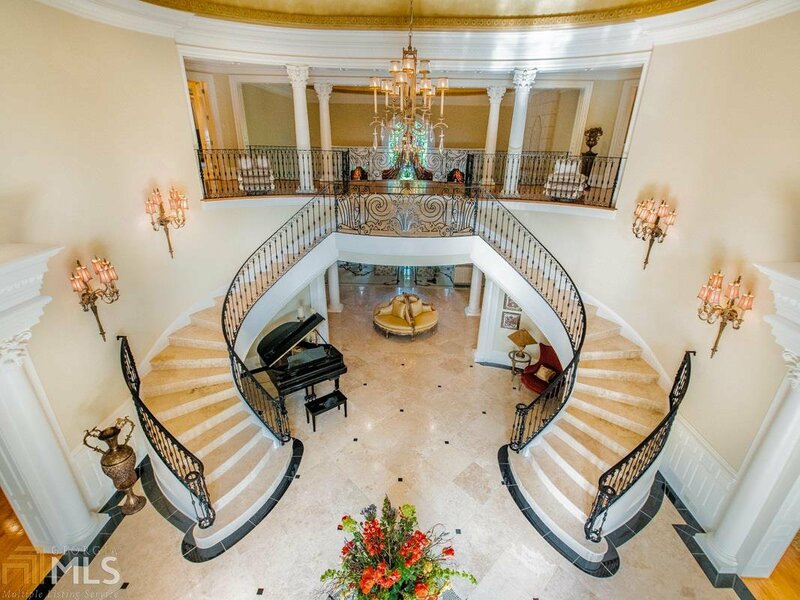 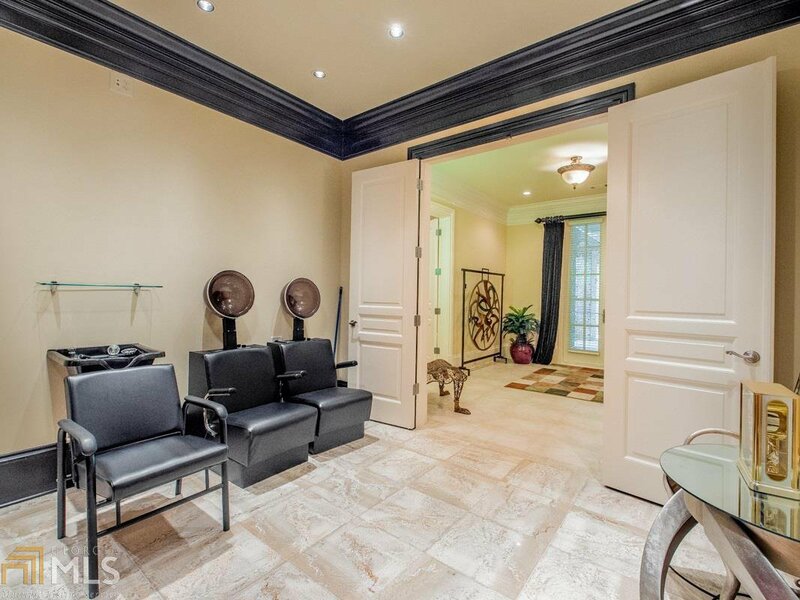 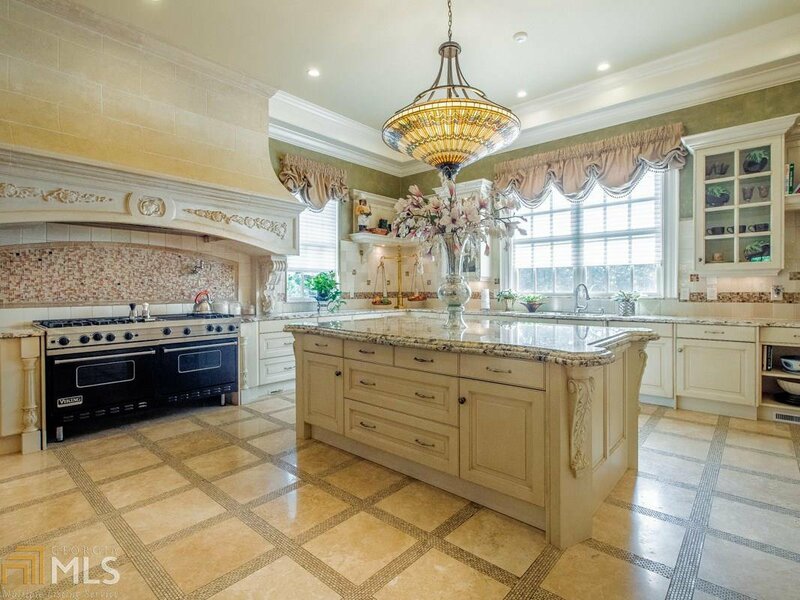 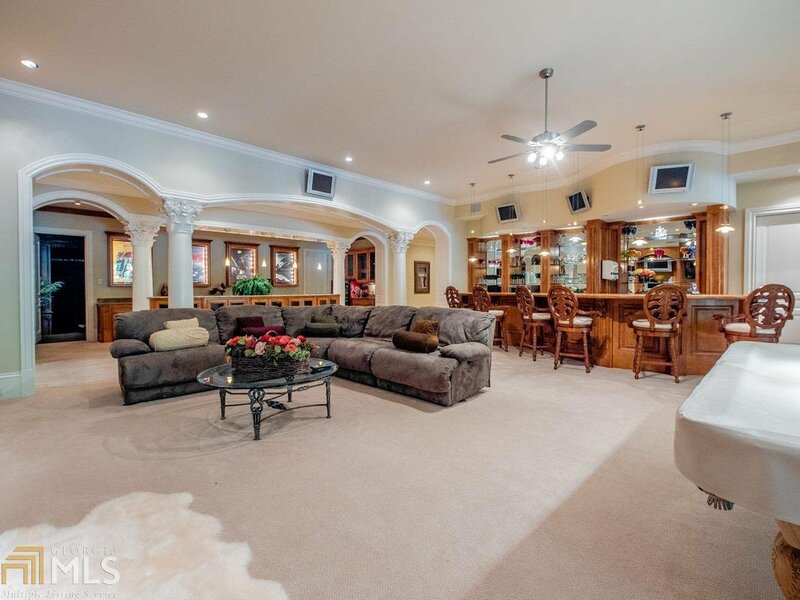 Entertainment inspired estate designed by renowned Architect Bill Harrison Designs. 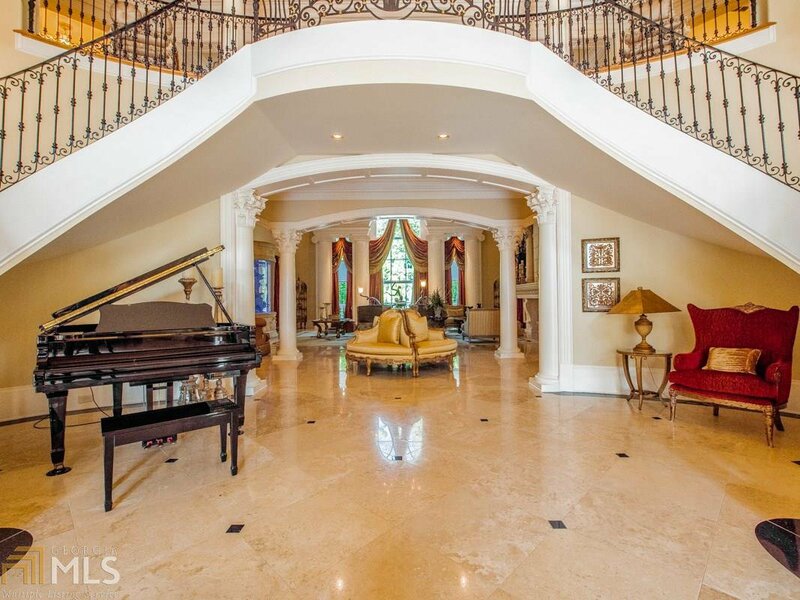 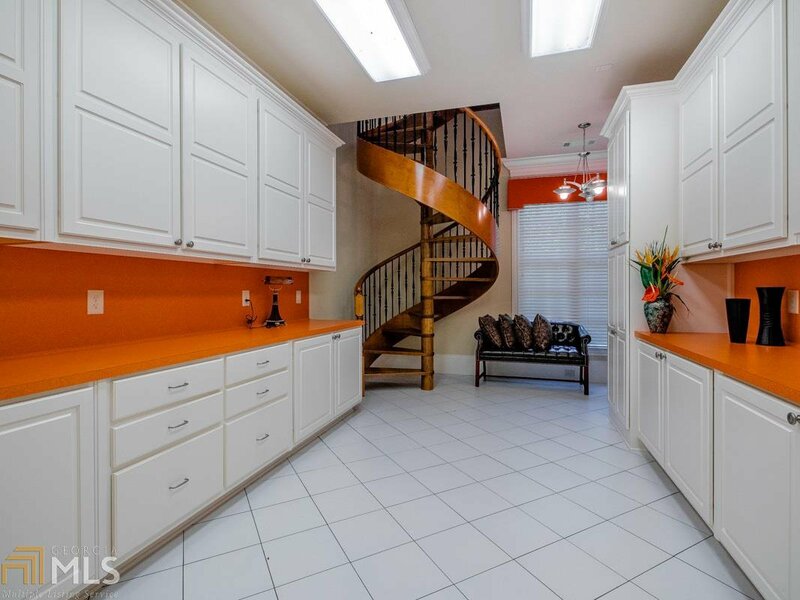 This sophisticated & luxurious retreat reflects that magical merging of inspiration and architecture. 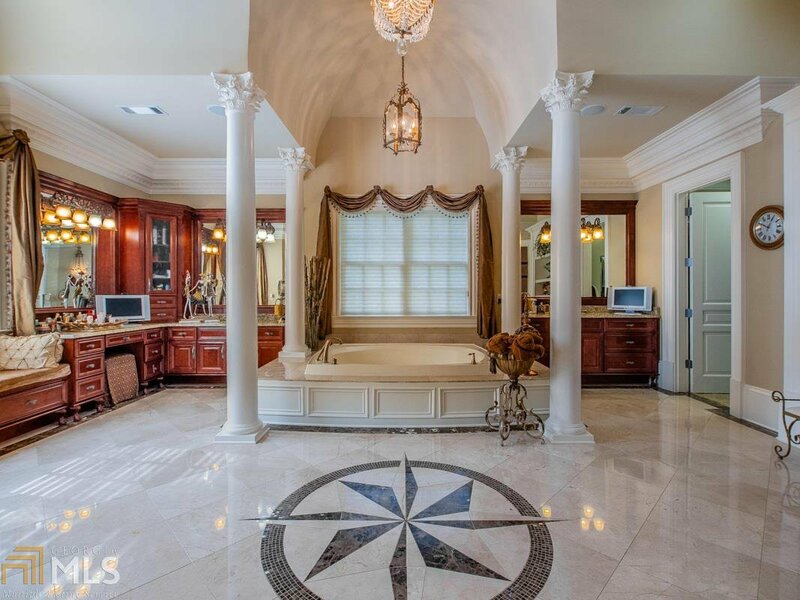 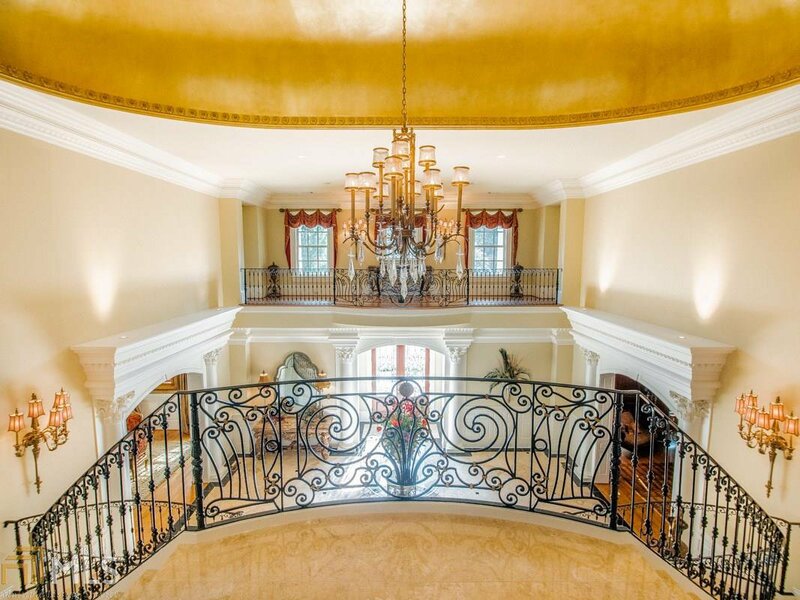 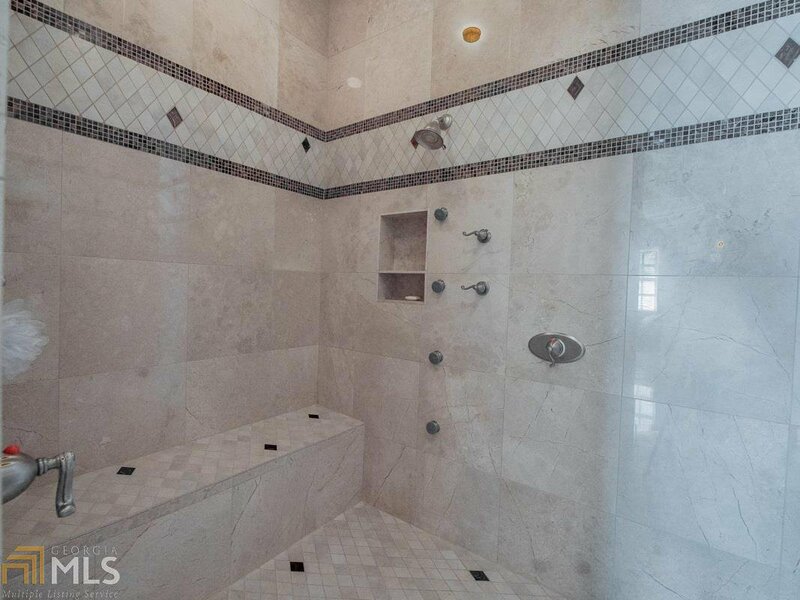 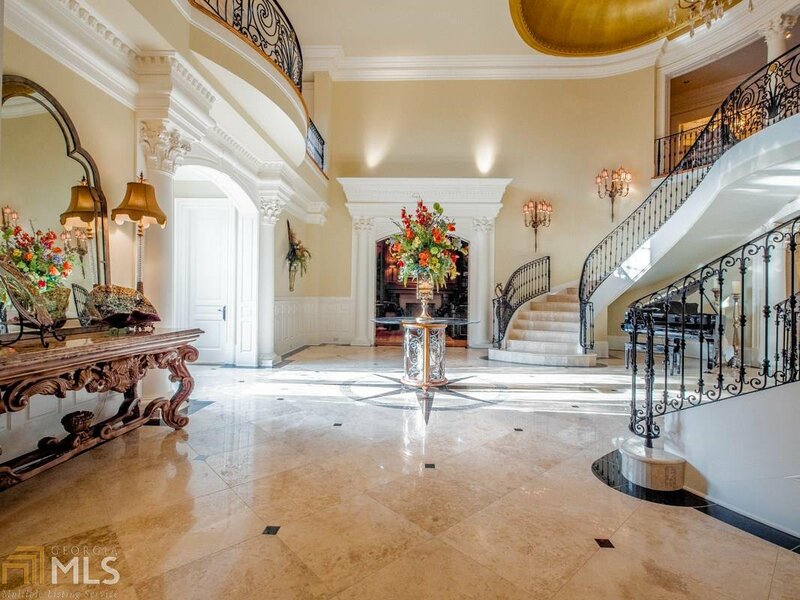 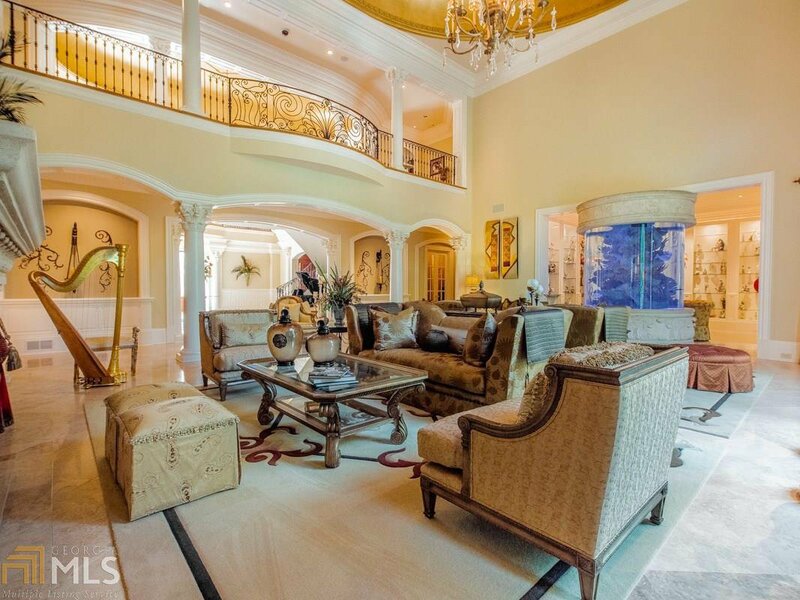 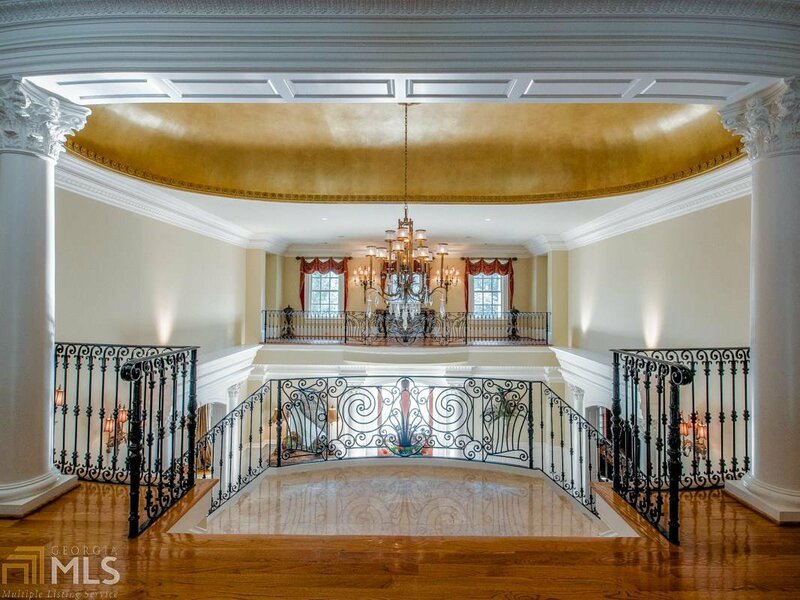 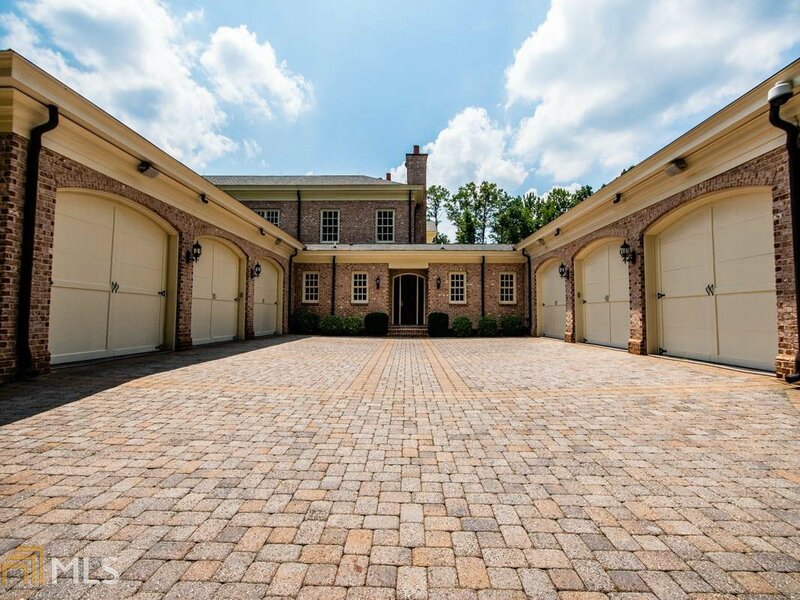 The estate is a masterpiece of design & craftsmanship featuring opulent flooring, intricately hand-painted ceilings, hand-carved fireplace, 1300-gallon aquarium, exquisite chandeliers, elevator that goes to all floors & 6-car garage for car enthusiasts. 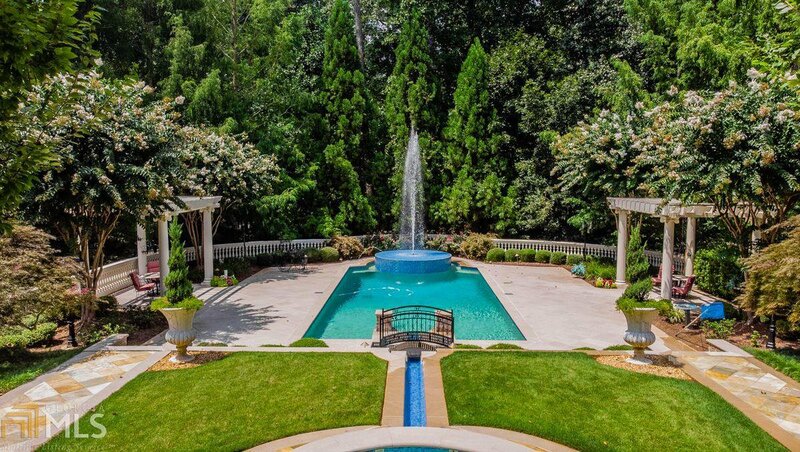 The sprawling entertaining spaces flow to loggias with a magnificent view of the pool and fountain. 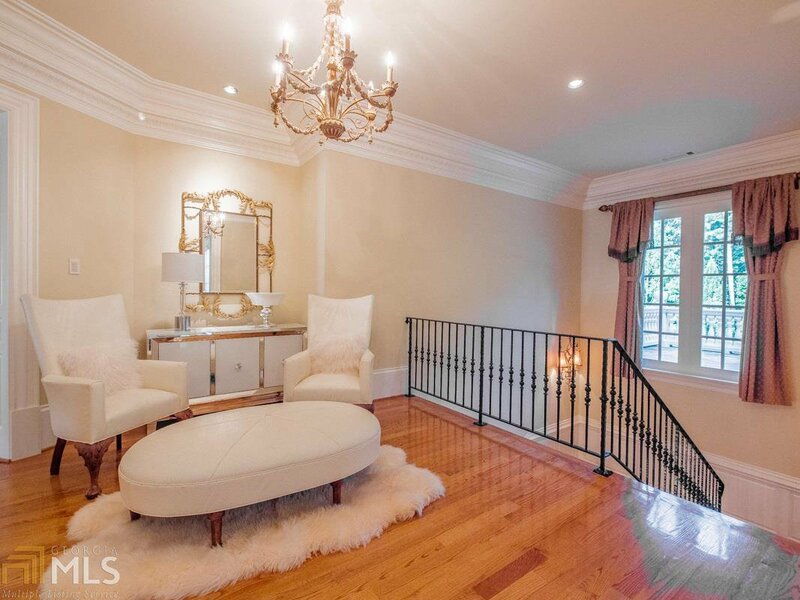 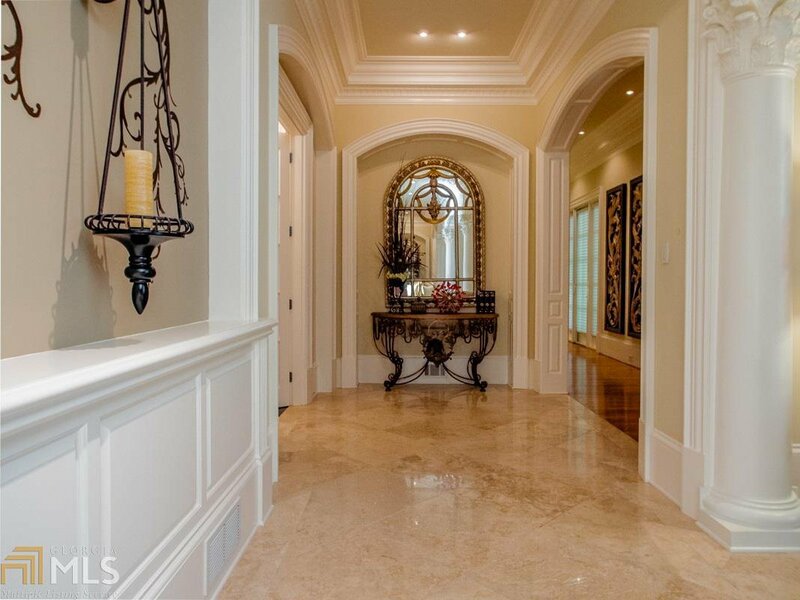 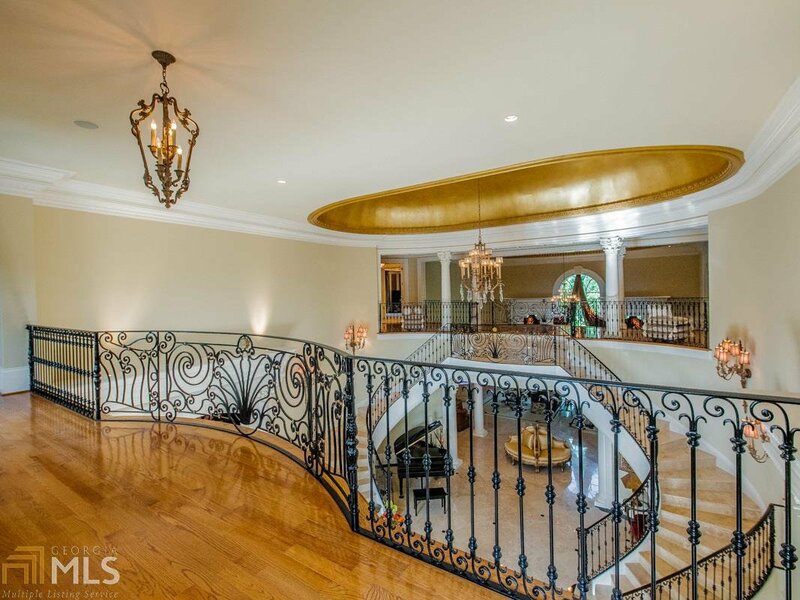 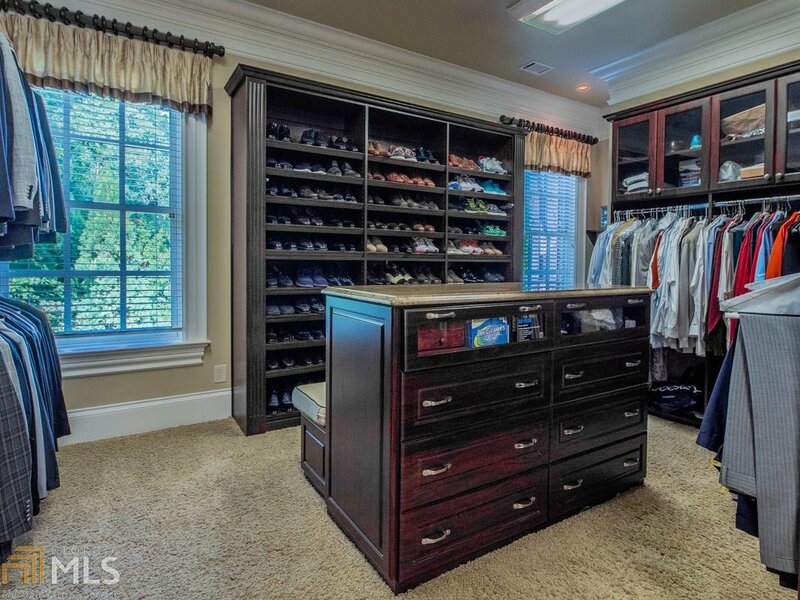 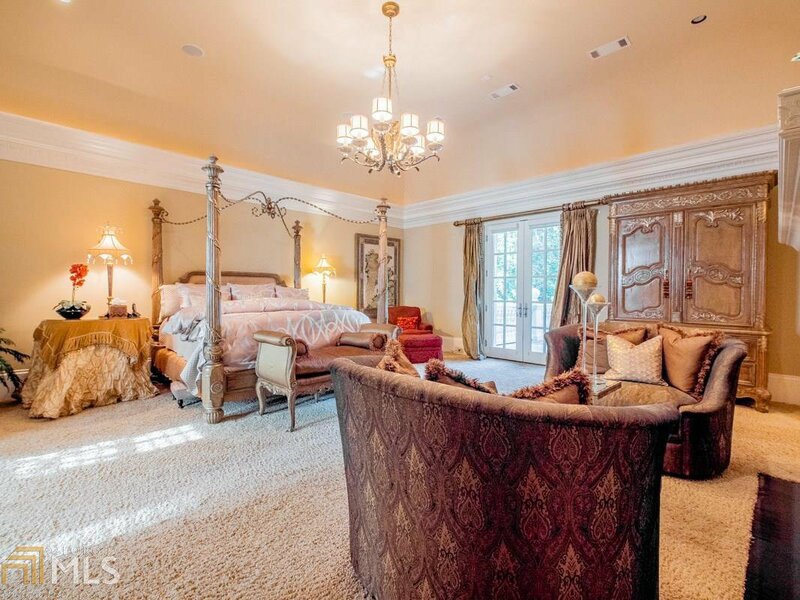 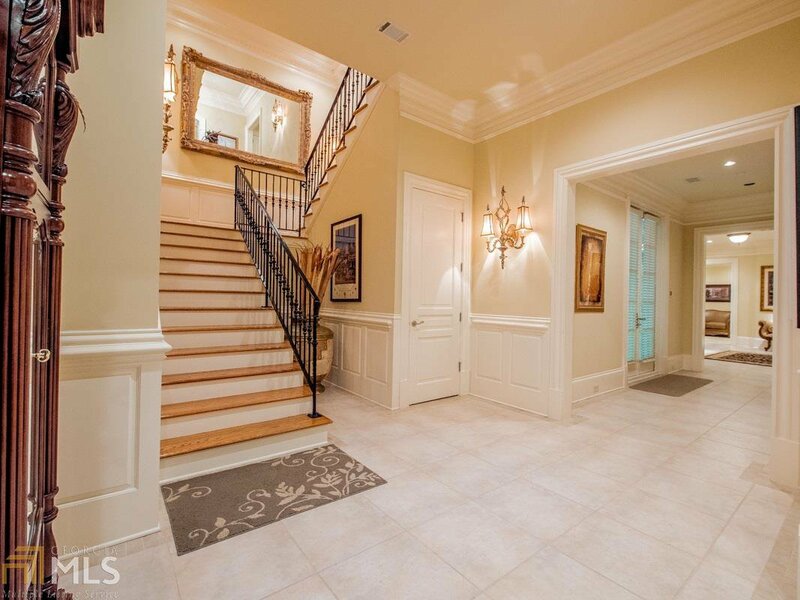 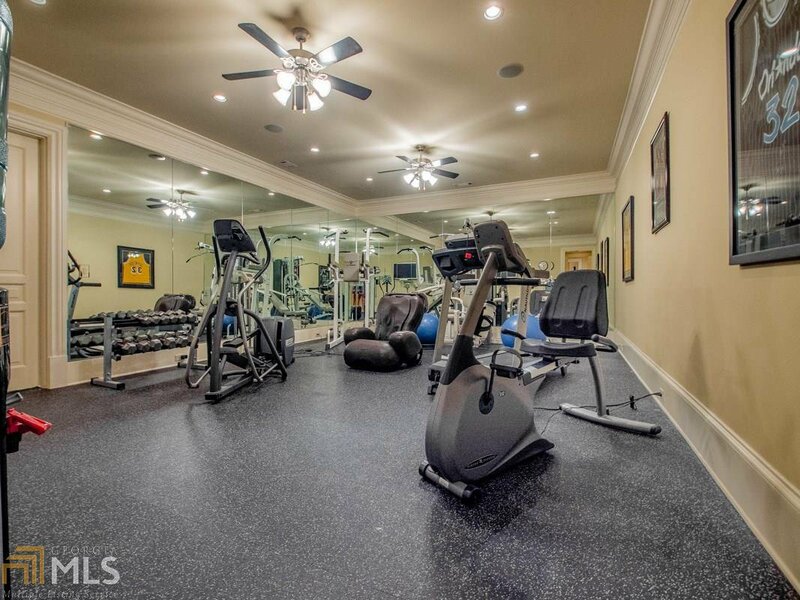 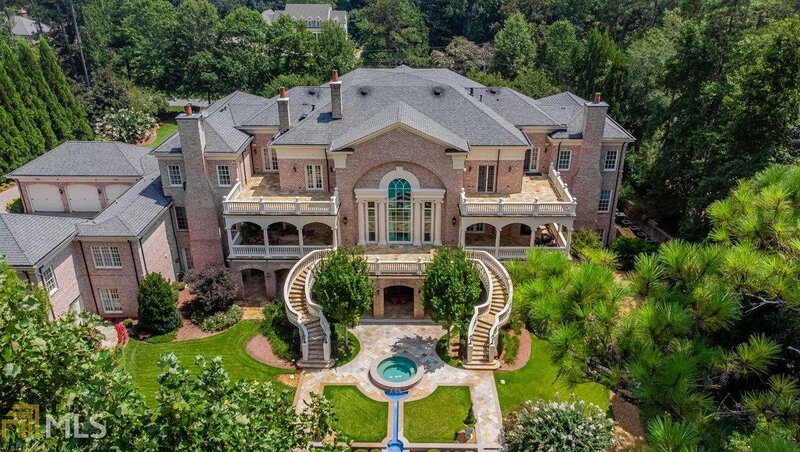 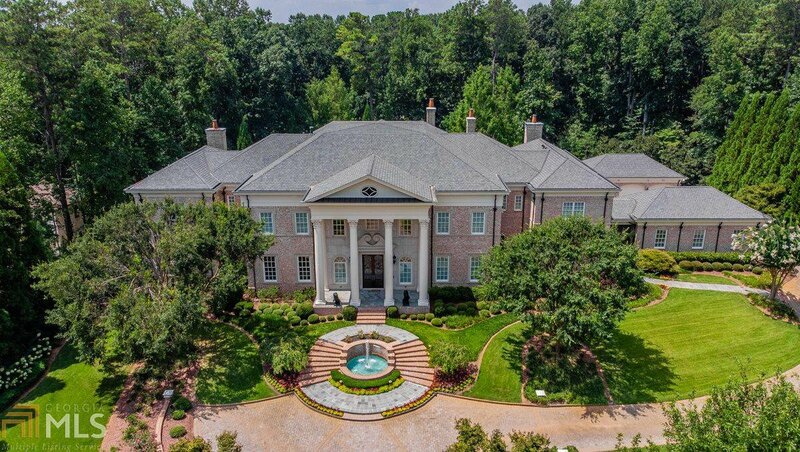 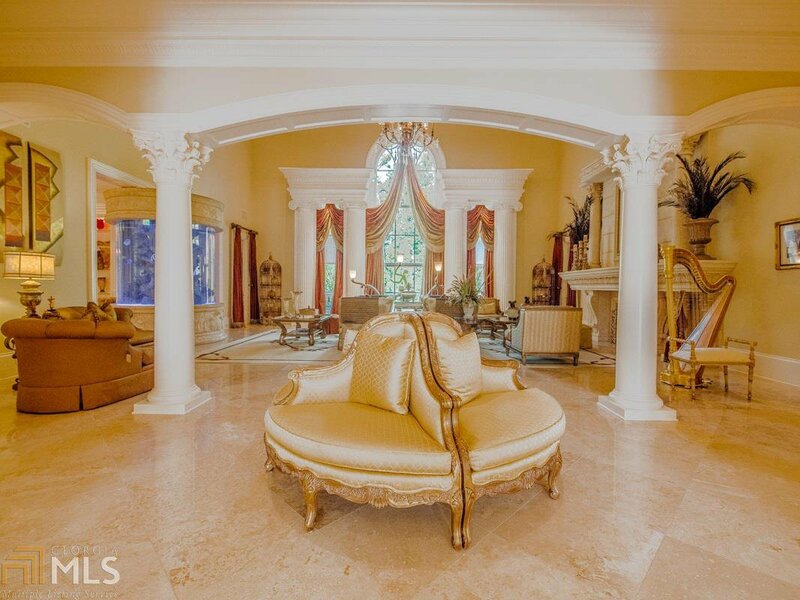 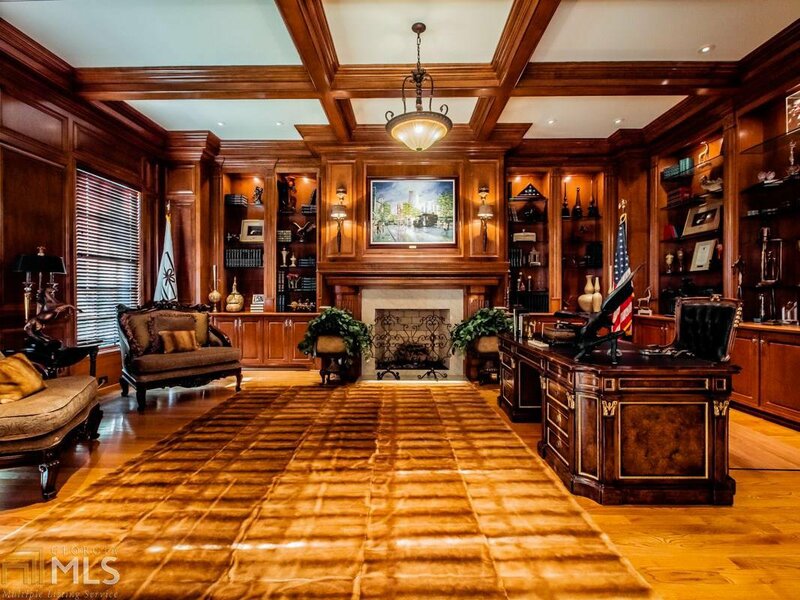 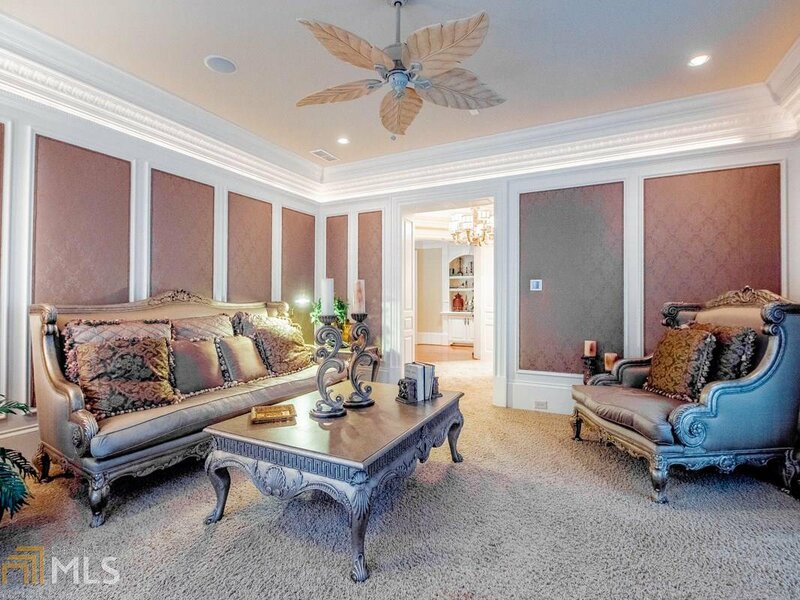 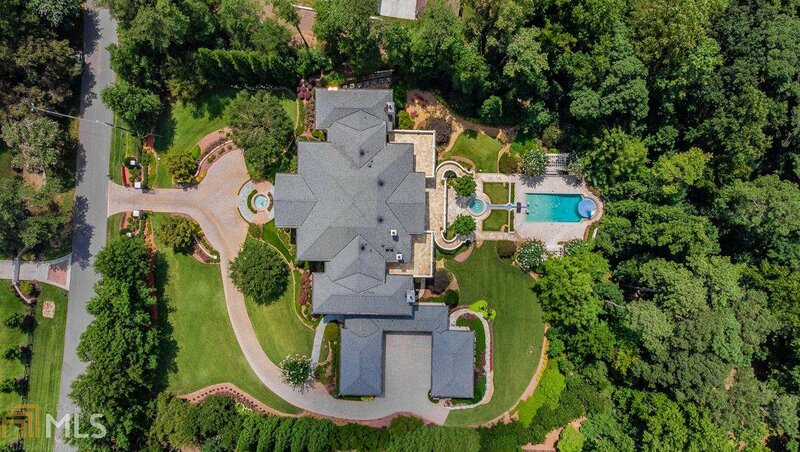 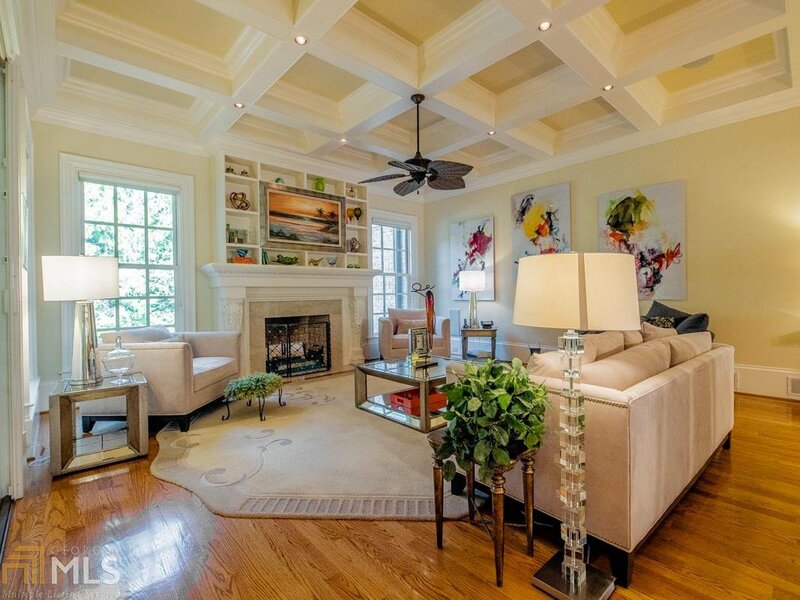 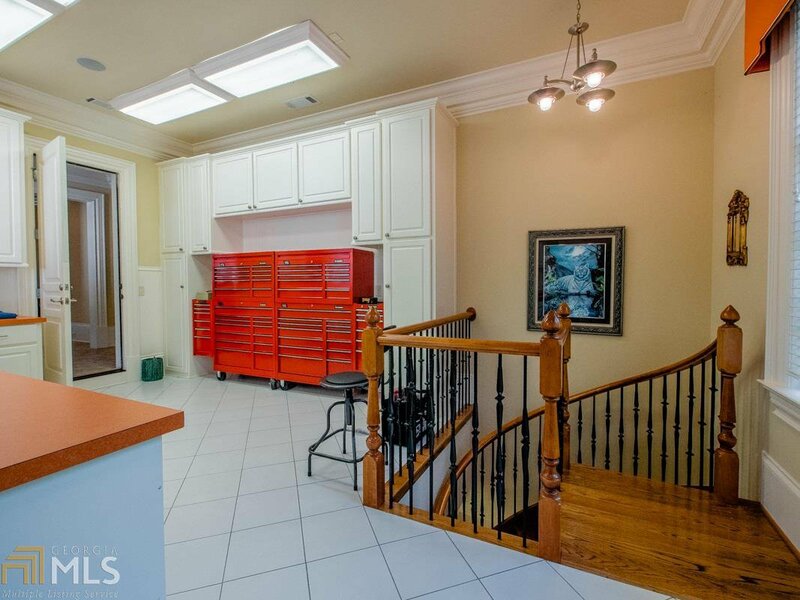 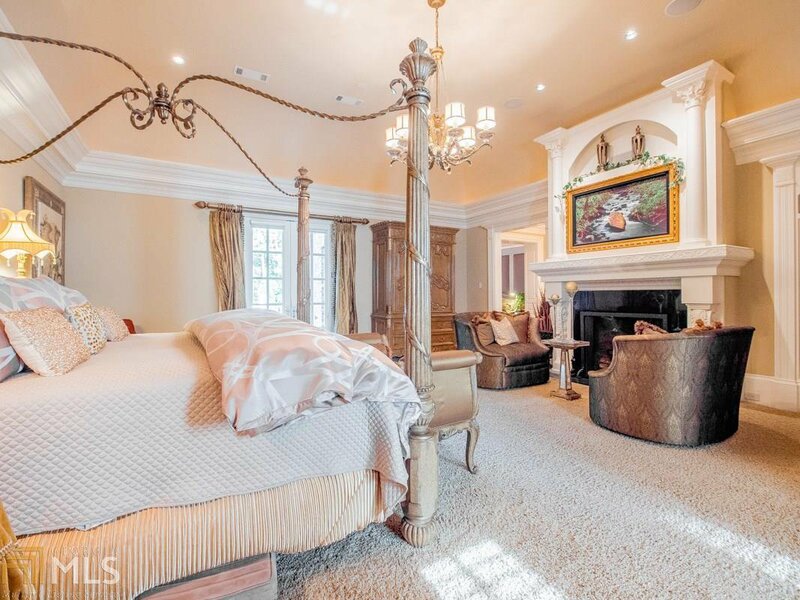 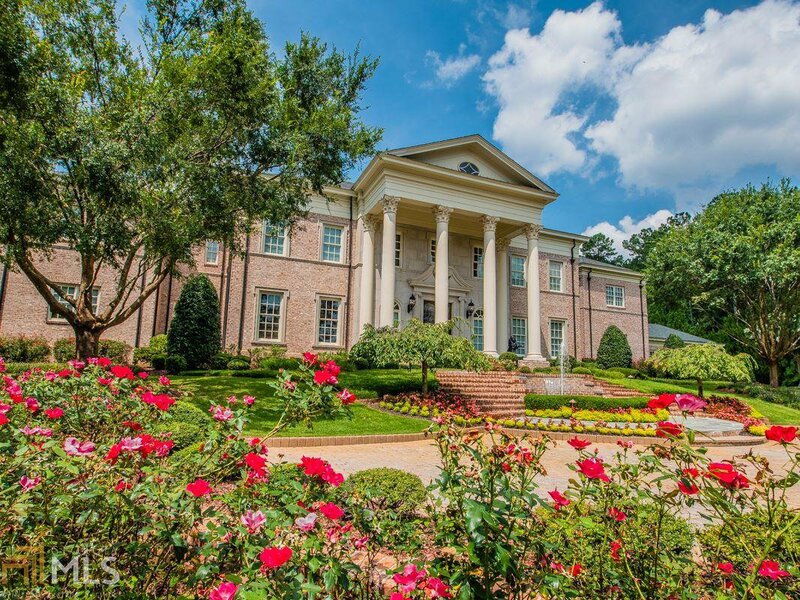 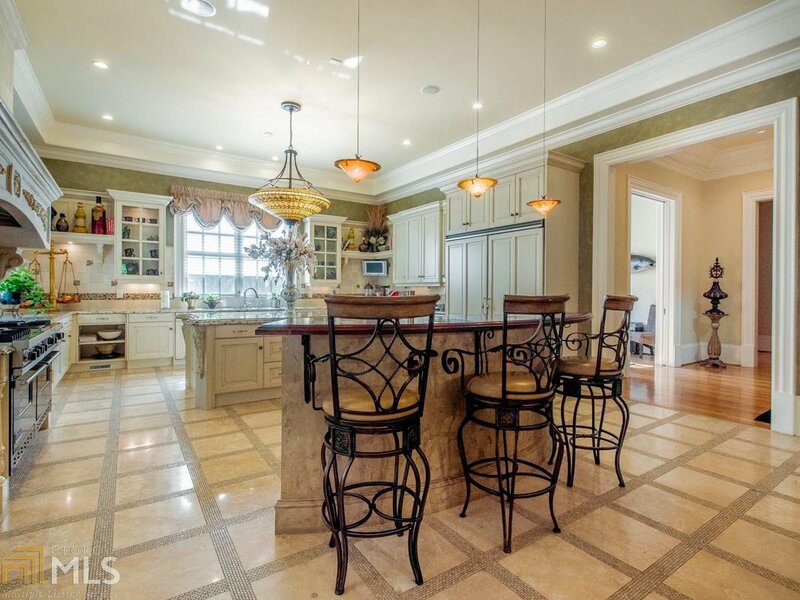 Sitting on 2.13 acres of premier landscaped acreage, this gated estate is the crÃƒÂ¨me de la crÃƒÂ¨me of Suburban Atlanta on the most prestigious road in Roswell, GA.